The entire thing is FREE to stream or download! I hope you enjoy The Storyteller Bible™! If you would like to help us keep The Storyteller Bible™ free, please consider donating. Any donation, of any size, is immensely appreciative. (To give a little perspective, the top two audio Bibles on Amazon are about $100.) Thanks for your support! This playlist has the books of the Bible, in their entirety, in the order you will find them in your Bible. NOTE: If you want to DOWNLOAD them, you can scroll down to the Individual Books and pick the ones you want. 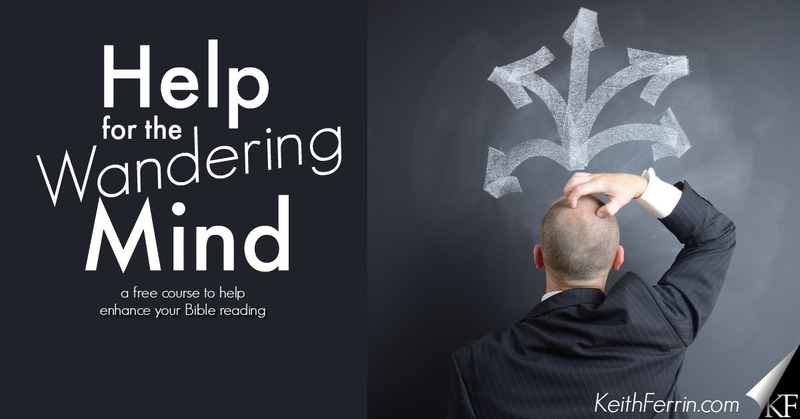 Does your mind wander when you read the Bible? This FREE, 6-session course will help you combat the most common problem Bible readers face.